This course is an introduction to infectious disease outbreaks for students interested in learning more about epidemiology, outbreaks, and public health. 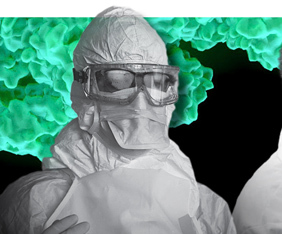 Students will learn about modern outbreaks, historic outbreaks of significance and will explore the tools that outbreak investigators use to stop the spread of outbreaks in populations and to prevent future outbreaks. Case studies and popular media are used to apply knowledge in real-life scenarios. Discuss systems-level factors that impact outbreak management and response, including emergency preparedness and response planning, surveillance system performance, communications, and legal and jurisdictional issues. Students will be evaluated based on their performance on exams, homework assignments, class participation and a final paper. Extra credit opportunities will be made available.